There is no such thing as a "rain bomb" -- they had a dramatic photo of a downburst and decided to use it because it looks "weaponized." 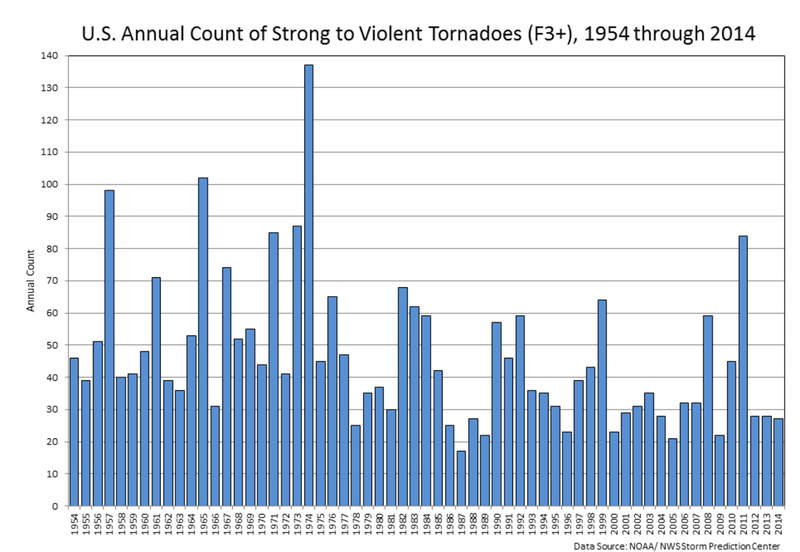 How many times do I have to debunk the "tornadoes are getting worse" meme? They are not. Here is the official data. Unfortunately, this graph ends at 2014. 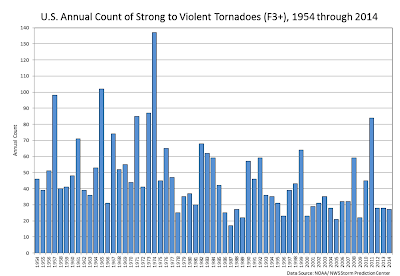 It would show even fewer major tornadoes for 2015 and for 2016, to-date. I've never understood why the catastrophic global warming people want to go back to this nostalgic era when Mother Nature was in control. It was colder and drier. 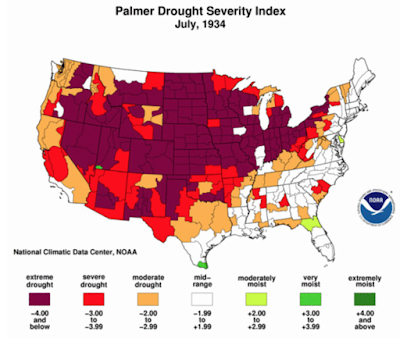 Crop failures and famines were much more common as previously documented on this blog. I suspect this is another "conveniently timed" story given that a certain political event ended last night.